Explicit TPB - AUTOBOTLY APRIL 2017 - TRANSFORMERS - COMBINER WARS! 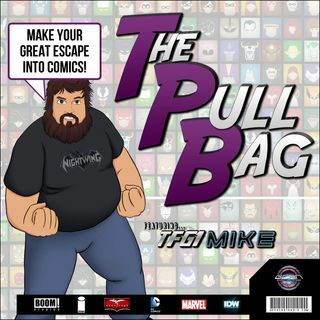 TPB Back Issue Classics Episode 83 is here! Cue Kenny Loggins because THIS IS IT !!! Mike and Ryan return to Talkin' Transformers... We are More Than Meets The Eye, we are Robots in Disguise! We continue #AutobotlyApril 2017 by talking about the ENIGMA OF COMBINATION in the epic event that was IDW's Transformers Combiner Wars!! You'll only find it here inside The Pull Bag! TRANSFORM AND ROLL OUT! !